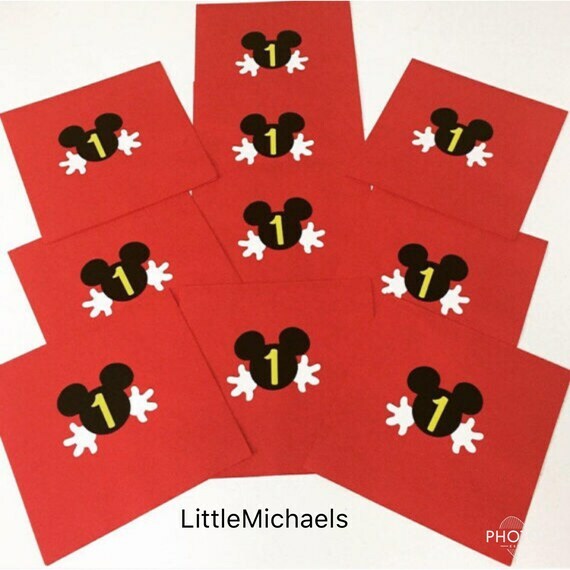 These Mickey Mouse Napkins are a wonderful choice for anyone who is throwing a birthday party or baby shower. They will add a special touch to a very special event. Using disposable tableware makes after-party cleanup a breeze. Use them for hors d'oeuvres or at small dish samplings. Due to computer settings and availability some colors may vary slightly. In the note section, please let me know what number (age) you would like for me to use. All die cuts come from a smoke free environment.